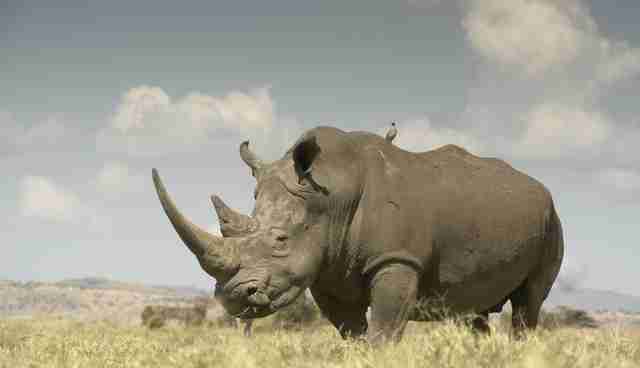 With only 1,000 rhinos left in all of Kenya, preserving them is critical. The country has seen a loss of 100 rhinos over the last three years. 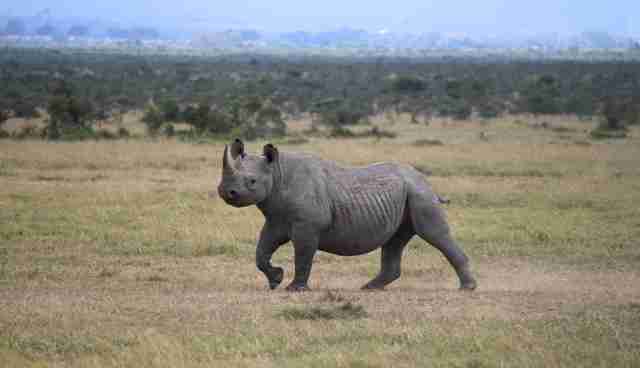 But active strategies and political will lend optimism to the plight of Kenya's rhinos. In response to the crisis, the environmental cabinet secretary Judi Wakhungu has said Kenya is developing regional wildlife enforcement strategies and networks both in the country and on a global level. "In order to combat wildlife crime, we have strengthened policies and legal frameworks, increased law enforcement capacity, and developed effective judicial systems," said Wakhungu. The rampant poaching seen across the country has prompted Nairobi to revise its laws to give stiffer penalties to convicted poachers and wildlife offenders. In addition to the government's stance, the private sector is also stepping up efforts. Ol Pejeta Conservancy, home to the largest black rhino sanctuary in East Africa, has announced "a step forward in saving Kenya's rhino habitat". The Mutara Conservancy, along the northern border of OPC, will add 20,000 acres of grassland and essential habitat to not only rhinos, but lions, giraffes, and the endangered wild dogs among others. "As the largest black rhino sanctuary in East Africa we are rapidly reaching our carrying capacity. Consequently, in support of national objectives, we will need to secure new habitat in future as our rhino populations expand. We hope that in time the Mutara Conservancy can be used to supply these requirements," said Richard Vigne, CEO of Ol Pejeta Conservancy. 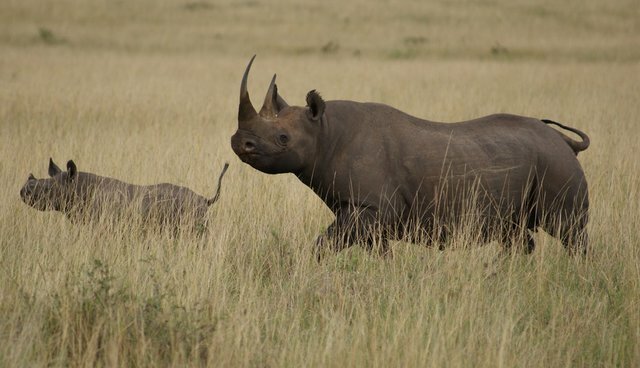 Previously in September, the internationally recognized Unesco World Heritage Site, Lewa Conservancy, and neighboring Borana also announced a major merger between the two to benefit the black rhino population. Removing the fence separating the reserves creates 93,000 acres of jointly managed secure habitat. What began as two cattle ranches now has become a prime sanctuary for rhinos. In a statement from the conservancies: "With the fence removed, the Lewa-Borana landscape now readies itself to becoming a 'key 1 population' – a much sought after status that helps attract tourism revenues from across the globe once its rhino population tops 100, which is projected to occur in the next two years." The Kenya Wildlife Service Director-General William Kiprono has said the number of animals killed by poachers had drastically gone down in recent years and the situation is set to get even better. This optimism is questioned by conservation groups who believe the poaching numbers are skewed. But Kiprono said "Statistics show a decline in poaching cases since 2012 and there is a different trend contrary to what some lobby groups have been portraying."